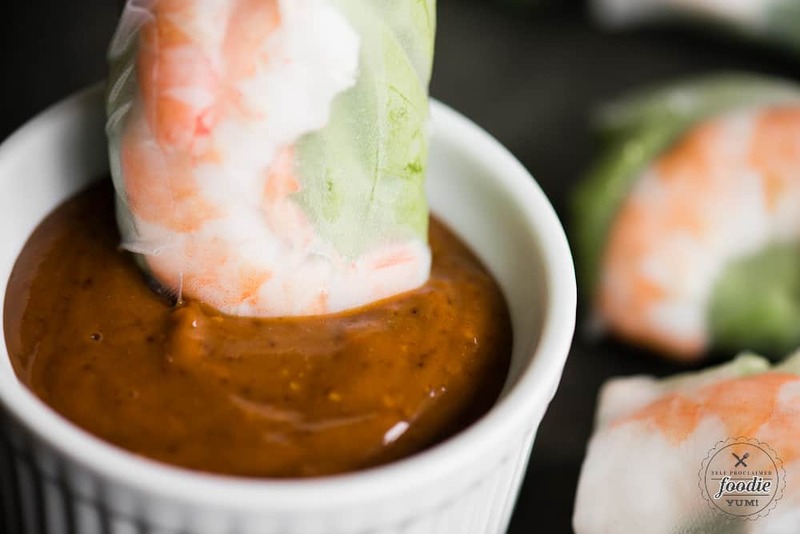 Peanut Sauce that is bursting with flavor is perfect for dipping homemade fresh summer rolls! This Thai and Vietnamese inspired peanut sauce recipe uses ingredients you’ll most likely find in your pantry. It takes only a few minutes to make when mixed in your blender. 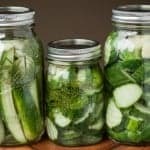 You can use it as a base for salad dressing too! Peanut Sauce is super delicious. Have you ever made it? I hadn’t until now, but it changed my life. Okay, okay. I know I’m a bit dramatic, but this stuff was amazing. I used it as a dipping sauce for the shrimp summer rolls that I made. That recipe is coming soon. 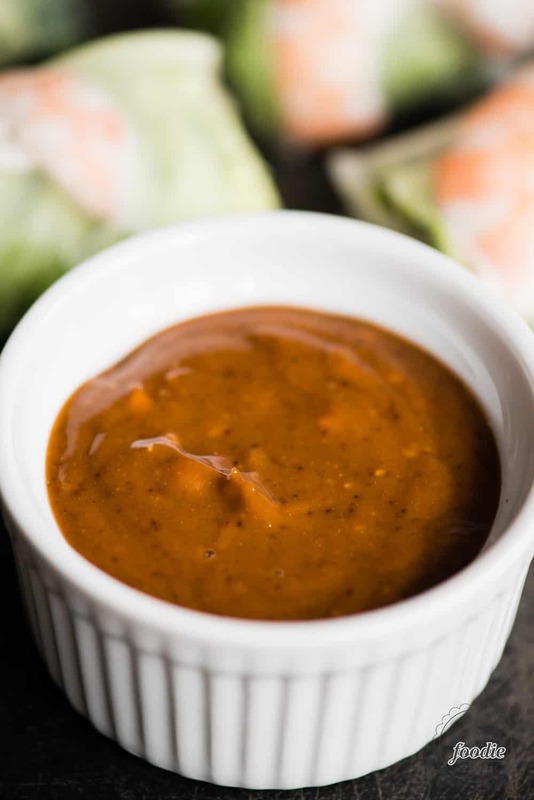 You can totally eat this peanut sauce how I have it pictured here as a dipping sauce, or you can take it a step further and mix it with some oil and vinegar to transform it into a salad dressing. How do you make peanut sauce? If you search for peanut sauce recipes, you’re going to find a ton of different variations. Why? Well, for starters, peanut sauce is widely used in cuisines around the world, and namely in Asia. One can imagine everyone has a different opinion on what peanut sauce should taste like. I was going to make a Vietnamese peanut sauce that my friend makes. She basically told me to mix equal portions of peanut butter, pineapple juice, and hoisin sauce. 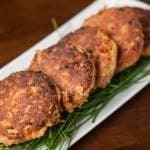 I actually just did this the other day and found that version to not be nearly as good as the recipe below. This recipe came about because I was trying to make a homemade hoisin sauce and just added peanut butter to it. 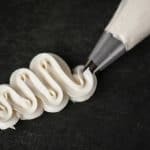 From there, I continued to change the proportion of certain ingredients until I achieved the tasted and texture I was going for. That was it! To make this homemade peanut sauce, all you’ll need to do is measure out each of the ingredients and whirl it up in the blender. 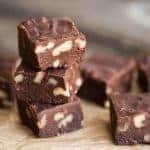 You can add some crushed roasted peanuts on top when you’re done if you prefer. That’s it! 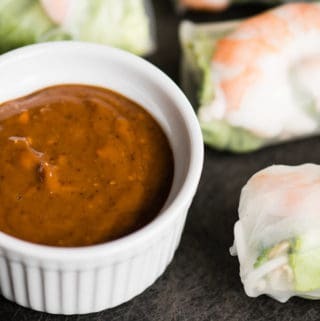 Peanut Sauce that is bursting with flavor is perfect for dipping homemade fresh summer rolls! This Thai and Vietnamese inspired peanut sauce recipe uses ingredients you'll most likely find in your pantry. It takes only a few minutes to make when mixed in your blender. You can use it as a base for salad dressing too! Add all ingredients to blender and blend until smooth (use sauce mode if your blender has it). Use as dipping sauce for spring rolls, summer rolls, or as a base for salad dressing.